It was awesome to find out that Darius Rucker, the much-loved American musician (once the lead singer and rhythm guitarist of Hootie & the Blowfish), was using the Ampsy app for Hootsuite during his performances. Ampsy for Hootsuite has become hugely successful in the entertainment industry, where teams can showcase the buzz going on around a concert tour and connect with fans. With hundreds of thousands of fans going to Rucker’s 2015 Southern Style Tour, Rucker’s team at McGhee Entertainment was looking for a way to curate and present all of the amazing social content that his fans were sharing at his shows. They also wanted to be able to quickly identify their superfans and schedule follow-up posts and interactions. So how did Rucker’s team use social media to offer an amazing experience for his concert-goers? Using the Ampsy app for Hootsuite, Darius’s team was able to identify superfans within aggregated streams based on the type and volume of content shared. By doing this, they were able to give them special attention with shout outs, special offers, and the latest updates on what was going on at the concert. Before using Hootsuite, fan social conversation typically dropped off completely around 24 to 48 hours after shows. With the Ampsy app for Hootsuite, team Darius set up a Southern Style Tour social hub, where they were able to aggregate social content shared around the hashtags #SouthernStyleTour and #DariusRucker, as well as mentions around the @DariusRucker Twitter and Instagram accounts. Their team used Hootsuite’s scheduling and management capabilities to contact fans who had shared content, and invited them to view content on Darius’s various networks. They also encouraged fans to find their content and re-share it in their social sphere. This social strategy kept the fan dialogue going for several days, and in some cases weeks, after a show had ended–that’s three to five times longer than previous concerts. It was like being invited to the best backstage afterparty ever on social. By finding a new way to improve their fan engagement, McGhee significantly increased fan advocacy around their Southern Style Tour social content. Solid Research: They asked the right questions about their core audience. Relevant Keywords: They used relevant keywords and targeted hashtags. Effective Outreach: They kept the conversation all in one hub. Personalization: They identified and gave their fans star treatment. Execution: They consistently delivered on their plan during during shows. Darius’s team leveraged the right social media applications for their specific marketing goals, and it paid off big time. A key part of any social media strategy is knowing where your customers are and having meaningful conversations with them. Darius’s team did just that. By nailing down exactly how to find their biggest fans, bringing them together, and making them feel special, they were able to significantly improve the overall buzz around their concert tour. 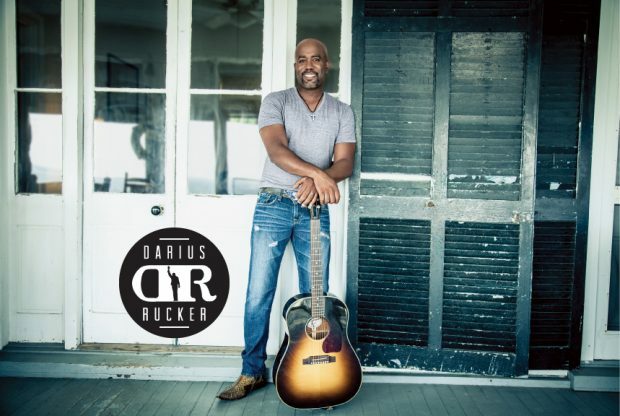 Learn more about Darius Rucker’s story here. Emily is a Lead Copywriter at Hootsuite. She also runs and hosts Hootsuite's social media podcast, Hootcast.